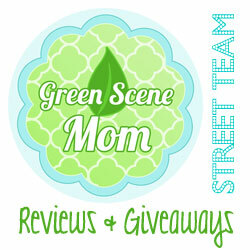 You are here: Home / Media Reviews / September Book Picks! THE MERMAID’S SECRET (978-0-7653-8130-9; $27.99; June 14, 2016), the sophomore women’s fiction/fantasy novel by Katie Schickel is a must-read! 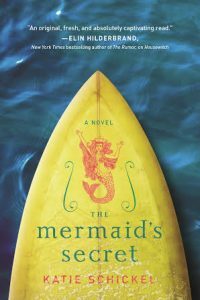 THE MERMAID’S SECRET is a wonderful, seafaring tale of magic, family and identity. Set on an island off the Maine coast, this sophomore novel is the ultimate in beach reading. It’s “Splash” meets “Jaws” with a touch of magic and adventure, appealing to both women’s fiction and fantasy fans alike. In a recent 4-star review, RT Book Reviews said that the new novel delivers a “fast pace and believable emotion from the characters.” Schickel’s debut novel, HOUSEWITCH, was one of Booklist’s Top 10 Women’s Fiction for 2015.
t’s that time of year again when beleaguered parents constantly remind disobedient children that it’s more important than ever to do the right thing. Otherwise, they could end up on Santa’s notorious naughty list – the one specially reserved for kids who fight with siblings, refuse to do their homework, throw temper tantrums and don’t eat their vegetables. While banishment to the naughty list has long been a handy tool in the disciplinary arsenal, any responsible parent wants their children to be good the rest of the year, too, when the threat of empty stockings holds less sway over those impressionable minds. “I suspect most children deep down want to do the right thing, but they struggle with temptation,” says K.J. Hales, author of It’s Hard to Be Good, the first volume in the Ellie the Wienerdog (www.elliethewienerdog.com) series of educational picture books for children. Hales, who creates teachers’ guides and educational activities to go along with the lessons in her books, says the earlier parents start teaching children to do the right thing, the better. • Be generous with praise. Don’t underestimate the importance of your words. It’s easy to notice when children do the wrong thing and to chastise them about it. But take note when they do the right thing, too, and praise their good choices or good behavior. “Everyone loves words of approval and children will want to please you as a result,” Hales says. • Make good choices a fun activity. One way to encourage good decisions could be to set aside one week in which each day you ask your children to write or draw about a good decision they made or they saw someone else make. Hales says this is an activity she suggests for classroom teachers, but it can work in the home as well. Be sure to discuss those good decisions with the children. • Reward them. Discipline so often focuses on punishments for bad behavior, but children should also be rewarded for good behavior. 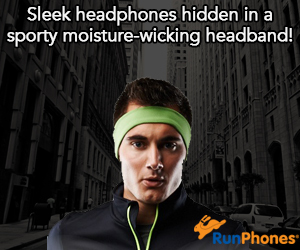 This doesn’t have to be anything elaborate or expensive. A reward could be a picnic in the park or a favorite dessert after dinner. This truly is a delightful story that I recommend for young children! ~SoCal City Kids. K.J. 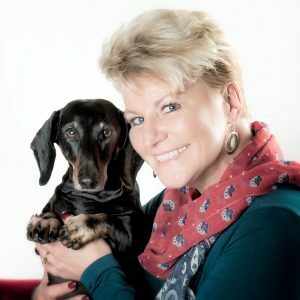 Hales (www.ellietheweinerdog.com) is author of the Ellie the Wienerdog series of educational children’s books for children. The first volume in the series is It’s Hard to Be Good. 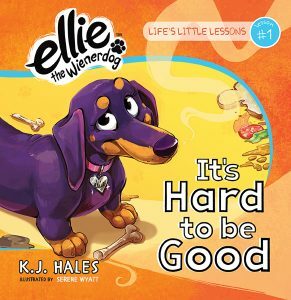 The Ellie character is based on Hales’ own dachshund also named Ellie. Fly away with English actress Cerrie Burnell’s newest title and help Harper search for the city’s missing cats! This is a fun story that I specifically think that young girls will love! But when every cat in the city goes missing—including Midnight—Harper is determined to find all of the precious pets. And she’ll need a magic, flying umbrella to help her in her search. Recruiting friends from her building to help, the magic umbrella whisks them into the sky on the trail of the cats and an adventure. Cerrie Burnell (author) is a presenter, actress, and writer, best known for her work in British children’s TV. She was featured in the Guardian’s 2011 list of the one hundred most inspirational women. She divides her time between London and Manchester, England. Laura Ellen Anderson (illustrator) has been a children’s book illustrator since graduating from the University of Falmouth. She is the creator of the Evil Emperor Penguin comic and the illustrator for many books including the Witch Wars series. She lives in the United Kingdom. Looking for a great read for young boys? This one is a must! Henry Hunter’s friend Charlie is desperate for help. His parents have gone missing in the Caribbean Ocean, and no one will believe him that something sinister is afoot. The only lead Henry and Dolf have is the sighting of a ghostly galleon and a huge tentacle of mist. Exploring the local pirate history and myths, Henry and Dolf uncover a cursed crew of pirates, led by no other than the deadly Edward Teach—Blackbeard himself. But what’s keeping the pirates sailing beyond their deaths? And how and why are they building a crew of live prisoners? 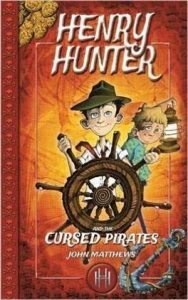 It’s up to Henry and Dolf to survive monster waves and befriend a crazy local sea dog to solve the mystery and put the pirates back in their watery graves! John Matthews is a historian, folklorist, and author. He has produced more than ninety books on the Arthurian Legends and Grail Studies. He has devoted much of the past thirty years to the study of Arthurian Traditions and myth in general. He lives in Oxford, United Kingdom. I love these Wee Gallery books! 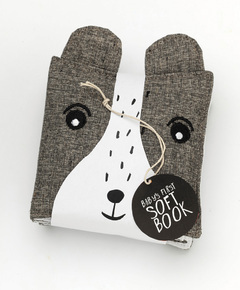 These are just perfect for the really little ones! 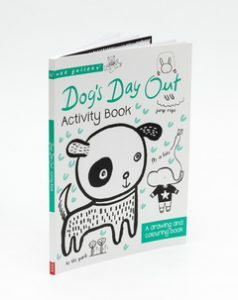 This one can be found at Arbordale Publishing. 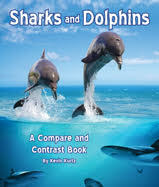 I love their books because they are fun to read and educational! Self Disclosure: I received free copies of the above books to feature. Info and images were also provided.